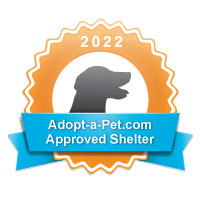 Please consider making a donation to Woof River Animal Rescue today – every penny of your donation goes to saving the lives of the dogs in need. What can your generosity do every month? As of June 1, 2017, supporters of Woof River Animal Rescue can log in to your Kroger online account and enroll in Community Rewards! It’s really easy – and it costs you nothing – and raises money for the rescue all at the same time. This is really easy and will help the rescue so much! Thank you for taking the few minutes to sign up. The pups thank you!